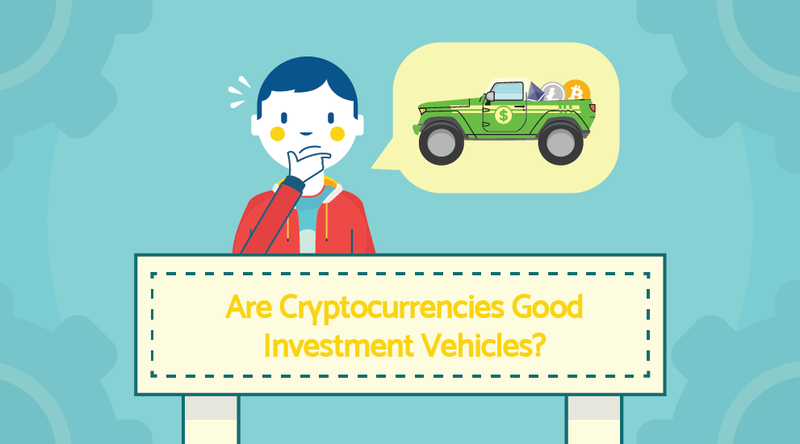 Are Cryptocurrencies Good Investment Vehicles? HomeAll Posts...Are Cryptocurrencies Good Investment Vehicles? In recent times, we’ve seen the rise of cryptocurrency, starting in earnest with Bitcoin back in 2008-2009. Bitcoin was the first peer-to-peer (P2P) digital cash system with the blockchain (a distributed public ledger) concept conceived and implemented to help solve the issue of double spending such a digital currency. Cryptocurrencies are of course made possible with cryptography and blockchain technology to help secure and validate transactions. The blockchain concept was later improved with Ethereum, which made the blockchain more flexible, and allowed other businesses and startups to create their own decentralized apps on the Ethereum platform. Cryptocurrencies have been on the rise, both in price and in use & acceptance online and offline. But not all cryptocurrencies are designed to be straight “digital cash”. For example, Ethereum’s cryptocurrency, Ether, despite having convertable value into other currencies, was designed specifically as “fuel” for the Ethereum network. And other digital currency tokens have similar and varying main functions… yet they all have a financial value in the digital world, which they can be bought and traded for. However, long before the rise of cryptocurrencies, people were trading other assets, and continue to do so. From fiat currency and the foreign exchange market (FX, Forex, or just the currency market), to stocks and bonds, to positive bank interest, and physical commodities, such as precious metals, oil, coal, antiques, livestock, produce, minerals, manufactured products, raw materials, real estate, etc. All these have proven to be excellent investments in times past, and continue with ups and downs, which some argue can be fairly predictable when circumstances are in view (although there is always the “unexpected”, either by truly unforeseen events, or by the masses not being informed or aware of what others do know). What makes a good investment (aside from practical use), is something that is expected to rise in value, keep or gain it’s value as other assets drop theirs, or that continually brings in a profit and passive income. Good investing should see short term, medium term, and/or long term returns on the investment(s). Of course good investments need a good investor who knows what they’re doing, and even then losses are to be expected, but not more often than the gains. The longest running and most valuable cryptocurrency up until this point has been Bitcoin. Following close behind it has been Ethereum, and as of recently, others have been creeping up the ranks. Normal cryptocurrencies (we’ll mention crypto assets near the end of the article) have both good and bad distinctions. Of course there’s the question of if a new digital currency will even get off the ground and gain traction with the public. After that, however, a good distinction of many cryptocurrencies that do get off the ground is that they can grow in value just like normal assets. A bad distinction of cryptocurrencies, however, is that they tend to be extremely volatile, and it’s said that they are far more volatile than any other market, even more than Forex. Cryptocurrencies are easy to have plummets and skyrockets in price of significant value, and quite often, due to a mass of various influences. Given that they are quite young, as well as the fact that there are more digital currencies coming out all the time, and that there are so many factors that can and will affect prices in the future: it seems likely that this trend will continue. 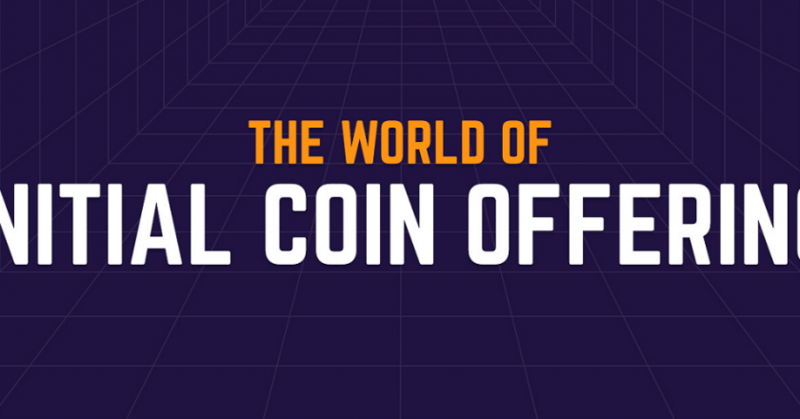 The problem is made even worse when you consider the fact that normal cryptocurrencies have nothing physical backing their value; Their value is only derived from total token limitations/ceilings (which are only limited by codes), their digital functions, and the acceptance of their users, as well as perhaps some encrypted value. An excellent example of this volatility can be seen in Bitcoin’s price history, which you can find on coinmarketcap.com, starting from the end of April in 2013 to the present. Notice a couple significant price rises, along with many dips and spikes, some of which range from the tens to the hundreds of dollars, up and down, in rapid succession, in many places. This same pattern of large and frequent price fluctuations is prevalent throughout the cryptocurrency market. Unless someone could accurately predict these changes, these fluctuations make cryptocurrencies as investments rather sketchy to behold. There’s also the fact that digital currencies are a whole different animal than any other investment. 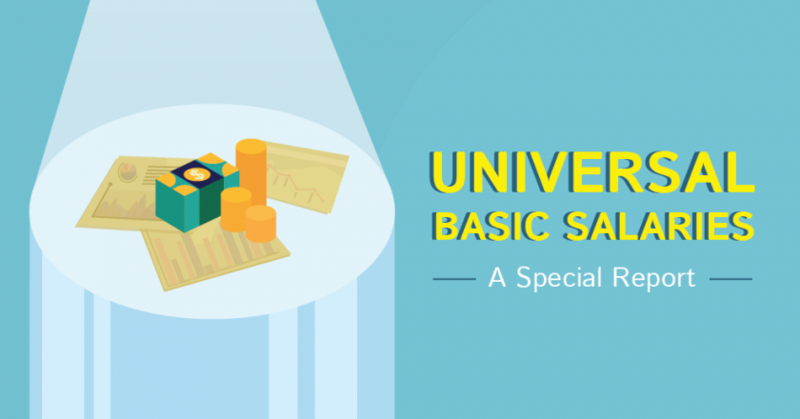 They require special knowledge in how to safely store and secure your tokens, as well as sending and spending them. There are horror stories of people throwing away thousands of dollars in BTC because they forget they were stored on an old computer. Plus with a current lack of regulations (regulations are actually growing in some places), digital tokens may be more easily susceptible to fraud, such as at the infamous Mt. Gox Bitcoin exchange. That said, the cryptocurrency market throughout 2017 has had a huge surge in prices, seemingly in the shadow of Bitcoin. Since January of 2017 until today, amidst all the volatility, BTC has nearly tripled in price, and currently resides at around $2,705.76 USD per 1 BTC (Aug 2nd, 2017, Bali time – before the publishing of this article)! Just back in 2010, 10,000 BTC could (and did) only buy 2 pizzas! Some people have decided to become major digital currency investors, such as the Winklevoss Twins, who have invested fortunes into Bitcoin and Ethereum; And a handful of these people have become wealthy off of these investments through price appreciation. Many people aren’t going to take the risk of investing in cryptocurrencies, simply because of the volatility factor, as well as the special expertise that is needed. There is a new asset class however, for those who would love to get into cryptocurrencies for their flexibility and speed, but who don’t like the massive and frequent price fluctuations that they incur: digitized assets, or crypto assets. Through the use of blockchain technology it’s possible to have crypto tokens that are pegged to the spot price of gold or silver, and/or are backed by a specific amount and even type of the physical metal (this also applies to pretty much any physical commodity, including oil, produce, and raw industrial materials). That’s exactly what we’ve been working on for the past year and a half. At DinarDirham, our DinarCoins (DNC) are worth 4.25 grams of 999.9% pure gold and are backed by the gold spot price. Our Gold Smart Contracts (GSC) are Ethereum Smart Contracts representing actual gold and silver bullion of specific type, number, and weights. Both can be stored safely and securely through either our Universal Bitcoin Wallet, or are new and advanced blockchains.my digital wallet app. They can be spent online or offline, withdrawn in the form of fiat at ATM machines, and are redeemable for physical gold at select locations. Being backed by gold means that these digital gold assets make great hedging and long term investment alternatives for cryptocurrency lovers who want to diversify their portfolio. Gold tends to be rather stable, has a long history of being actual and preferred money, and has had steady and sharp price increases over the past 200 years. Combine that with the flexibility and ease of use of a cryptocurrency, and well… you figure out the potential benefits. DinarDirham and it’s writers are currently NOT financial or investment advisors and should not be taken as such. Any actions taken by the reader as a result of our work, and any consequences resulting from such actions, are the direct responsibility of the reader. The information found in this article or in it’s sources may or may not be entirely accurate, user discretion is advised. # crypto assetscryptocurrencydigital assetsdigital currencydigital golddigital moneydinarcoindinardirhamEthereum Smart ContractsGold Smart Contractshow to invest in Bitcoinhow to invest in cryptocurrencyinvesting in Bitcoininvesting in cryptocurrenciesinvesting in Ethereumshould I invest in Bitcoin?